patientNOW is a certified EMR that includes both practice management and patient engagement systems in the same software solution. 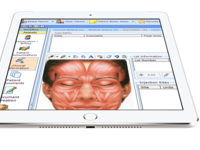 This all-in-one solution enables the aesthetic medical practice in managing the patient experience while automating follow up and workflow, freeing up staff from manual tasking and enhancing revenue because no one falls through the cracks. 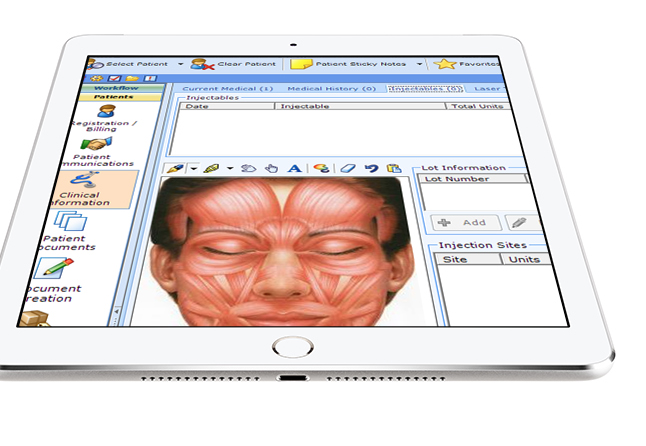 Pros: The PatientNow program is an excellent practice management system for a cosmetic practice. There are a few flaws, but I have found the developers and help desk to be really open to feedback. My only wish quicker solutions. The program is solid from a marketing prospective, it features a drip marketing component that is correspondent to the patient's procedure of interest or in the patient's pathway of their treatment(s) they have selected. This is excellent in terms of focused marketing efforts, and segment marketing. Being able to segment market to those patients interested in a particular service/procedure that they have expressed interest in means higher open rates on emails, more visibility and better patient engagement because you are able to address patient's concerns specific to their interest. The program is 95% user friendly and intuitive. It is easy for everyone from the front desk to medical personnel to use. For the most part the program is able to arm administrators and physicians with what they need to have schedules, reports and other business items accurate with a few very minor details I will mention in the "the least liked about the software section". Speaking to the marketing end, it is amazing to custom emails for each procedure and each step of the process for a procedure as it relates and corresponds with an appointment. Meaning it is great to email patients about their upcoming procedure or appointment automatically. Cons: As stated in "pros" section of the survey the marketing component "treatment pathways" is dynamic way to communicate with patients without having to remember to follow up or to create emails. Emails can essentially be launched daily to hundreds of different patients for the treatments they are interested in. This again is great! The issue is the program is not HTLM friendly so sending professional branded materials is not an option. You are really forced to piece together emails that looked pieced together or you can type generic emails - not good for a luxury practice or product. Reports are okay, it does take some maneuvering and comparing to have things balanced in terms of commissions, end of day, AR etc. More custom reporting should be available and the response to custom request varies based on their other prioritized projects. Reports are mathematical and should always balance regardless 1 + 1 is always 2. Overall: Everyone is friendly and responsive and ready to help. I would like to see quicker updates. Pros: The EMR system was easy for a team that was just leaving charts, you can limit permissions for them so they can feel at ease navigating the system. Cons: Support is a drawback. I often see updates that roll out and only learn about them after I see something new as I am using the system. Rarely do I get a live person to talk to when I want help and often get a ticket with a call 1-2 days later after I have figured things out on my own. Support is also not too helpful, if I ask them a question they will not always have the answer and tell me that something is not possible and then I learn on my own it was. Overall: I think PatientNow is a great option for practices wanting to implement a general EMR system that is easy for them to switch over from charts. Comments: I have been using PatientNow for several years at this point and in my practice I always strive for improvements. Last year I took on the project to change PatientNow with a different practice management software. I evaluated several platforms including but not limited to Nextech and Remedly. Many promises were made by different companies but at the end, when my practice manager drilled into the softwares to check if this switch would benefit the practice, we quickly realized that PatientNow is the best option for our practice. 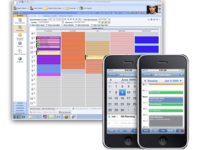 Pros: Very complete software for practice management at a very affordable price. Great customer service, easy to use. Pros: Patient now has lots of features, automated emails, inventory system and reporting that helps our practice run smoothly. We have multiple providers and we use Patientnow throughout the day. The dashboard is very user friendly, and it is easy to teach to our staff. Cons: There are some limitations, and many add on packages that are not included. For the yearly price, it would be nice if all add ons were included. Overall: Our staff is very happy with Patientnow. We have used it for several years now, and are still discovering ways to streamline our practice. Technical support staff from PatientNow are very nice and helpful, sometimes it is hard to get a hold of them, but they do respond back in a timely matter. Pros: Scheduling functions work well. Handles large patient data base well. Cons: Patient information books do not handle multiple procedures well - there is much redundant printing of common sections. The old Inform software is dramatically better at this part of things - to the point that we still use it for pre-operative document generation. I am not happy that I am being forced to convert from our server-based version to a cloud-based version within the next year. I worry about data security and having a non-functional office in the event of an internet failure. So happy we made the switch! Pros: I love how simple it is to use. Everything about it can be totally configurable to what we need. We were able to drop some of our other partners, like solutionreach and reviewboost because patietnNOW offers that functionality and more integrated right into the system. Obviously, that cost savings alone has been significant. From a support perspective, I am always able to get through on the first try and my issues are resolved and questions explained in a timely and respectful manner. Cons: I wish the surgical images were a little newer but we are able to import our own so it wasn't that big of a deal. Recommendations to other buyers: We switched from another more prominent and costly EMR provider. We were just fed up with being nicked and dimed by the big guys. Do your research. We went through several demos with the patientNOW sales team and various members of our staff to be sure that EVERYONE was totally comfortable with the switch. It was a bit of a rough process to make the switch from our existing EMR to patientNOW but one that after 3 years we are still glad we made. Pros: It is inexpensive compared to other practice management / EMR systems. It has the foundation to be a very good EMR / PM system. The support staff / help desk is very nice but sometimes unresponsive particularly with complicate issues. Cons: The scheduling portion leaves a lot to be desired. Reports are not always accurate. Reporting functionality is limited. Forms are not easy to build. There is minor customization possible, changes are only made if groups of users want them. Comments: I have used a number of EMR systems in the past and reviewed almost all of the packages available for plastic surgery. PatientNow is, in my mind, the clear winner for value, functionality, CRM, ease of use and reporting. Pros: Great for automation of patient reminders and thus retention. Relatively simple to use as compared to other packages I have reviewed. Good support. Cons: It is Windows based and thus the new cloud functionality is not as clean as if it was an IOS app but it is getting better with every update. Pros: The providers love the ability to write SOAP notes. Cons: The financial reports are weak. It is a nightmare every month to pull out the numbers for our accountants. Also, when we write notes, the data on the notes sometimes disappears even after saving the document. This has always occurred, and PN has never figured out why saving does not always work. Overall: Although the support staff responds quickly, normally bugs and enhancements are put on a waiting list which never gets worked on. Pros: I like that it is able to award points since we have a 5% cashback on all purchases program in our office. I also like that it is able to generate reports on sales. Cons: I think it needs to be more user friendly. It is difficult to set your own treatment pathways and remember all steps. Overall: We just started a rewards program and patient now has the ability to automatically give our patients those reward points. This is great feature because it takes human error out of question. Pros: Its fairly easy to learn and very user friendly. Cons: It's missing key elements for reporting and other functions. Most of the time it doesn't work the way we need it to so we end up having to create work around protocols to complete tasks. It's very time consuming and not as effective as we would like. Overall: It's okay. I think it would be a great software program for an office with only one provider. It just doesn't work well as we'd like in our of nine providers. Cons: Unable to successfully integrate photos, seems like a glitchy function. Support often doesn't answer the phone, and support personnel are sometimes not up on every issue. 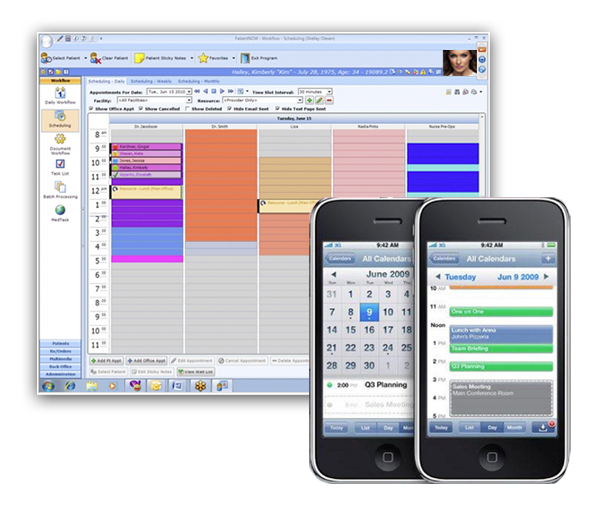 Overall: Using PN EMR for all office and practice functions. I find it fairly easy to use and overall like it. I would recommend it to a colleague. Cons: There is no "lock" for office appointments or sticky notes. It takes extensive knowledge to set treatment pathways. I wish there were ways to save commonly run reports on "ReportNow"
Overall: Great program to be all inclusive, from running reports, tracking inventory, scheduling patients, emailing/texting patients, having an online portal and so much more. It is not perfect, but overall happy and would recommend. Cons: So lets just consider one report (how much botox did I do last year?) Running this report gave me the answer of 6 patients. HA! Maybe 6 an hour! each time I run the report it gives me a different answer. I shut it down and reboot...same problem. This issue is consistent with many reports,but not all of them. Called support multiple times...no answer and no follow up. In patient charting, there is no duel screen available so I have to close the encounter and open labs, look at labs, close, then open encounter.......maddening! I KNOW no EMR is perfect, but this is the least user friendly one I have worked with (my surgery centers and hospitals use other EMR's so I am quite proficient and adaptable). SO I inform them I not longer wish to use PatientNOW, via email. WOW! They responded quickly to THIS, informing me that I have an extended contract and I must continue paying. I didn't even mention their money back guarantee, but I will NOW that I have to get attorneys involved. I could go on and on, but I hope this provides enough insight to keep other physicians from getting involved with this company. If it worked properly, I would certainly not go through the hassle of transferring all this data to a new EHR. Pros: In 2005 I took a chance with PatientNow in North Carolina. My practice was the first in the area with this EMR system. Since then it has continuously improved, become more efficient, and easier for the staff to use. The best, without a doubt, is the ability to discuss areas of concern with the CEO personally or by email. He is very responsive and cares about the product, quality, and user experience. This is a system that is a must have for any new or existing practice. Cons: The treatment pathways could be simplified, but work. Recommendations to other buyers: No EMR is perfect; however, no emr has the ease of customizing and pleasant responsiveness of the staff that cares. Support, support, support investigate the ease of achieving support for any EMR you choose. This is the difference maker! PtNow user for 9 years. Pros: Easily adaptable to individual practice. Cons: Currently undergoing transition to cloud-based use, but experiencing growing pains as exhibited by slower functionality and inability to access from Apple based products. Overall: Medical documentation more efficient. Reporting for strategic planning readily available, eg procedures and financial planning. PatientNow has a few glitches, like all of these platforms, but works for the basics. Pros: Ease of scheduling and patient notes. We are easily able to scan in paper documents to e-charts and organize those once uploaded to a patient. Cons: The reports are tricky. Our issues tend to stem from how the system was set up, then things changing and the change not occuring in PatientNow. Best advice is to set it up how you will always want it, otherwise it's very difficult change. Once you have historical data set up a certain way, you can't change gears. Overall: Daily ease of use is appreciated. Comments: Be responsive. Get a cloud option promptly. Pros: I like the reports I can run with the system for tracking and financial purposes. It is fairly straight forward to work in, as well. Cons: It does not have a cloud option and is based on our server which takes up a lot of space. Also, the patient portal for patients is always giving us trouble. The plug-in for outlook isn't available with the new update and so we cannot update because that option is vital in our daily demands. Pros: can access at home. I like using the images to chart on. hard to build out new forms and don't like paying for form build out. Cons: Some restrictions with documents and layout can be frustrating. If we have a complicated issue it may take several days to get an answer back. Overall: Overall experience is positive, however cost is a little high to use some additional features of software. Features should all be bundled into a one time annual fee. Overall: Patient now is great for basics of what needs to be done. Pricing and scheduling. Cons: IT IS NOT USER FRIENDLY, TAKES A WHILE TO UNDERSTAND ALL THE FUNCTIONS OF IT. Pros: Levels of use - you can start just scheduling, and then add in elements as you transition. Cons: It doesn't feel super intuitive, and the set-up is quite involved. Overall: Initially we had major problems with one member of their staff, but now their staff is AMAZING. Same day responses, on-site visits (they sometimes bring doughnuts), and they will cheerfully help with even the silliest, repetitive question. Pros: Ease of use. Many helpful features. Great Support. Cons: Would be nice to have trainings in a format that they can be accessed at anytime. Happy Practice Manager . . . . . Again. Pros: The support from both the technical and customer service side is second to none. We always get an answer the same day if not immediately. Cons: After 4 plus years I am still having a fight with the Treatment Pathways. I just know one day soon we will be friends. Recommendations to other buyers: Do your homework, but chances are, if you are a small to medium size practice you won't need most of the bells and whistles of some of the more expensive programs. I like the personalized service we get from everyone we speak to. It feels familiar and I never feel like my question is taking up anyone's valuable time. I would implement it again if given the chance. Pros: The program is very intuitive and easy to use. The pathways are amazing once you figure them out. Cons: Would like to see more customization options, especially with reports. We have a customized business and would like to run more reports. Overall: PatientNow fit into our business model perfectly. The price is very reasonable and they are constantly training and helping us learn more about the system. Their staff is always very helpful. Patient Now is a wonderful! Pros: I love their reports. You can run a report for almost everything. You can easy customize any report for your needs. PatientNow is very user friendly. If you have any questions their support team is incredible. They are very helpful. Cons: Sometimes I have a hard time looking for where to update changes in our office but, rest assure their support is always there to help me quickly. Recommendations to other buyers: Just do your research. There are other companies out there that give you similar product however way more costly. Pros: It is effective and easy to use for all staff members, from reception, through clinical staff. The support staff at patientNow is extremely responsive and the functionality is excellent. Cons: More custom reporting would be great, but most data can be exported to excel for manipulation and financial reporting. Pros: Easy to navigate between tabs and user friendly. Pros: I like how the different colors make it easy for me to have a quick understanding of what the schedule looks like. Cons: It is hard to get assistance immediately when you need it. Deceptive and simply a poor product and organization. Pros: Nothing of note. This product can do a lot of things but nothing very well. It's email blast functionality is clunky and the UI is ugly. Cons: I would strongly recommend against working with this company. We pre-paid for a 1 year subscription with them and their support/deployment staff disappeared once they got the money. To make matters worse, the things sold in the package we purchased simply don't even exist. The software does an extremely poor job integrating and leaves a ton of work for your staff to perform manually. We have requested a refund but the money is gone and we are left with product that doesn't work and is not deployed. These people are a joke! We are extremely sorry to hear that after having been installed, completing staff training and going live with patientNOW, you have decided that our leading EMR and Practice Management solution does not fit your needs. Access to patientNOW will remain available to you for the balance of the agreement. If at any point in time you choose to reconsider, we will happily welcome you back with our complimentary training and support to ensure your success in doing so. Pros: It's high functional capabilities. Good marketing tools. Cons: We were completely mislead to believe this software could email all our newsletters- it can only email 30 patients AT A TIME. We were made to believe it was capable or storage, scheduling, data reports, marketing information, and security. None of that has been the case. We call at least seven times per work week with issues and have to leave voicemails to be contacted by techs.. Recommendations to other buyers: DO NOT waste your time, money or sanity on this product. We should have kept Nextech and spent more money and time learning about what it could provide us before making the jump. Now, PatientNOW has corrupted our data so much that Nextech could not take us back even if they wanted to. We are so unhappy and frustrated. Wish someone would have provided this feedback to us before we started this terrible process. Comments: The product is an awful EMR. While it is aesthetically very appealing over many options, it is just a disguise for how featureless it is. Unlike many EMRs that we took a look at, patientNOW has virtually no open API. They say they do, but we had many of our partner vendors and software companies take a look at it for integration and all said it was virtually unworkable. I wouldn't recommend anyone chooses this unless they are fine with it not interacting with any outside systems or devices. Pros: Aesthetically appealing, mostly simple to understand. User-friendly UI. Cons: Virtually no API. Featureless. Low-to-No outside collaboration/integration. Pros: User friendly when it comes to quickly review general patient information, such as previous chart encounters. Cons: Multiple steps are required to review detailed patient information. It freezes quite a bit. Overall: I feel so-so satisfied with the software. However, if an opportunity comes along to switch to other user-friendlier application, I would probably look into it and take it as a serious option. Cons: Inability to produce more than one Service Type on an Invoice. Inability to acquire ALL data across the date and type ranges as needed. Requests for help take an average of over 2 weeks to be addressed. Overall: Not favorable - would consider another type of program. Cons: Sometimes it could get slow but not always so it's never too bad. Thank you Stephanie! We truly appreciate the feedback and look forward to continuing to serve your practice. Love how user friendly this software is! Pros: Ability to reassign docs to other staff members to complete. Ability to communicate between staff regarding patients. Cons: Treatment paths are annoying. Would like to know how to turn them off or not have to use them at all. Pros: Self-explanatory and very easy to navigate. Makes duplicate patient accounts easy to prevent and discover. Cons: The system itself was easy to use but it had a lot of glitches that would be time consuming when in a hurry. Comments: My cosmetic dermatology office discontinued using patient now after less than 6 months. Too many problems to list all of them here. Plus they refused to refund ANY of my 4 years prepayment. Pros: There is nothing positive that I can say about this product. It was a disaster for my practice for the ~ 6 months we used it and afterward as we worked to remove its tentacles from other software we use regularly. Cons: The software never performed as it should. The Inventory control was a disaster - we tracked manually (with extreme care) and the two never matched. We were unable to pull even the most basic financial reports from the data. Patients were sent birthday emails for free services we don't perform despite our specifically explaining to them that we did not want emails sent to pts from the system until we were ready to customize them. And the company refused to honor their full money back guarantee or even return the additional prepayment we made for 3 additional years.